As the pace of real-world digital change accelerates, one agency of huge importance seems to be in a full stall. That agency is ICANN. The stasis felt by the ICANN community is becoming a crisis that threatens the industry ICANN governs. ICANN’s regulatory/community paralysis is limiting the ability of existing and prospective contracted parties to plan for and participate in the digital transformation paradigm shift. ICANN’s October meeting in Barcelona was host to yet another series of ongoing community discussions on Policy Development Process (PDP) with the goal to find consensus to fully open the top-level domain expansion program. Since 2012, timelines to the next round have drifted. Despite some progress, due to the dedicated work of volunteers, a date for the next round still appears to be two to three years away – assuming all goes well. This timeline is at odds with real world digital transformation acceleration. 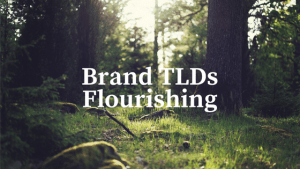 To resolve the impasse and propel action there was a proposal by community stakeholders to fast track a round for Brand TLDs, followed by geographic strings and generic strings. This segmentation may be the best way to expedite the next opening for ICANN to stay relevant. We will see shortly if this is deemed workable as ICANN and the community consider the implications. A predictable and expedited process would allow enterprises to include a Brand TLD as part of their digital transformation strategic planning. Without next round predictability, it is simply not on the agenda. It would serve ICANN leadership, the board and GNSO Council members well to attend a Digital Transformation conference for a dose of reality, to feel the excitement of enterprise participants and see the pace of change happening in the real digital world. That excitement and immediacy starkly contrasts the glacial pace of the “new” TLD program timeline and the fatigue felt by many ICANN community members. I attended a Digital Transformation (DT) conference in Toronto hosted by Amazon Web Services (AWS) in early November. Having just returned from ICANN 63 in Barcelona, I was vividly impressed by the difference in enthusiasm and energy between the DT participants and the ICANN community. The DT conference exemplified creative thinking, pragmatic urgency, investment planning and action. Hundreds of enterprise IT and digital leaders attended to hear about advanced digital technologies and innovative digital service models offering value in accelerated time to market models, efficiency, scalability and agility. We have not seen this engagement in the ICANN community since the 2012 expansion round that triggered hundreds of millions, perhaps billions of dollars of investment as new ICANN participation exploded. Today, six years later, ICANN participants are showing their fatigue, if they show up at all. This threatens the industry. 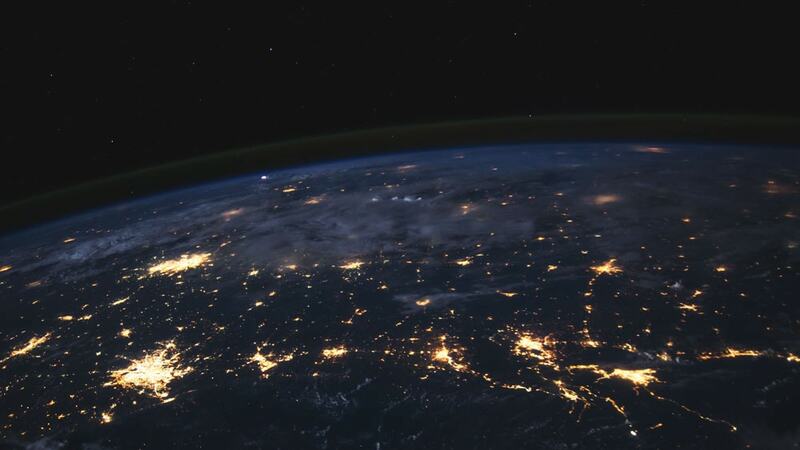 DT is the real-world digital change environment: New technology service capabilities are emerging, from AWS, Google Cloud, VMWare, AI/ML analytics, infrastructure, and security service vendors that run up and down the digital transformation stack. The future is happening now in digital. ICANN can be relevant in that conversation if there is a renewed drive to fulfill the board approved directive to fully open the domain name space. A date to continue the TLD expansion program is urgently needed. Sooner is better. The Top-Level Domain expansion program has the potential to underpin digital transformation initiatives, particularly for enterprise. The DNS is after all the public network on which all digital experiences and services depend. 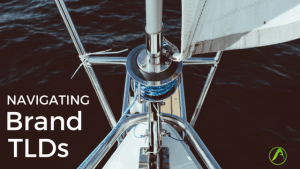 Brand TLDs offer enterprise IT and digital leaders an anchor of digital trust in a new communication and service delivery control environment. This is not hypothetical. 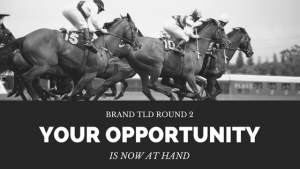 We are seeing dozens of innovative use cases being deployed by Brand TLD operators. A showcase of brand use case examples can be seen at brandtld.news. Over 170 global brands are in action, reinventing their digital business. It is just the beginning. What I found interesting at the DT Conference was the repeated statement, “JOB 0 is SECURITY.” Who can argue? Brand TLDs offer enterprise operators not only an elegant communication tool but also a strong new network security capability to extend services into the cloud. Security and trust are two of the most compelling value attributes for brands that own and operate a proprietary top-level domain. Those of us in the ICANN world who believe in the inevitability of the Brand TLD paradigm should feel good. Brand TLDs are being adopted with strong Y/Y and YTD usage and growth trends (October 2018 Brand TLD Market Brief.) As new rounds are opened, my view is that all established and many aspiring brands will eventually operate in their own digital space. It’s just better. The challenge to ushering in a more secure Internet future rests with the ICANN board and community. To be relevant in digital transformation, ICANN needs to lead and drive the continuation of the TLD expansion program. The consequence of further delay risks entire name space being left out of the digital transformation conversation. Rather, ICANN could usher in the vast potential of a new, secure, and robust Internet infrastructure, based on an open name space.